As cool as they were, bow ties are out for the new Doctor. BBC has released images of the Doctor’s new look and I have to say, I like it. I do love a Crombie coat on the right person and Peter Capaldi seems to wear it well. The look was created by Doctor Who costume designer Howard Burden. Capaldi says of the new look: “He’s woven the future from the cloth of the past. Simple, stark, and back to basics. No frills, no scarf no messing, just 100 per cent Rebel Time Lord.” Dude, by all means knock the scarf (I was never a fan) but don’t knock the bow tie). Check out the Doc Marten shoes though. I love em! 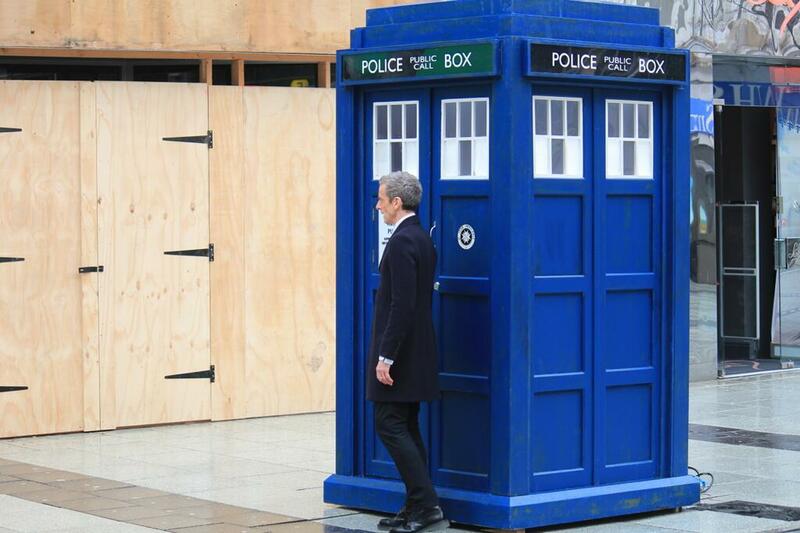 I imagine the new Doctor will get a lot of running done in those.